Discussion in 'MotherBoards' started by Euro_Bucks, Jan 28, 2017. I'm looking forward to upgrade to this Kaby lake generation. I currently own a system with a haswell 4570 in it. I'm planning to get an i7 too. 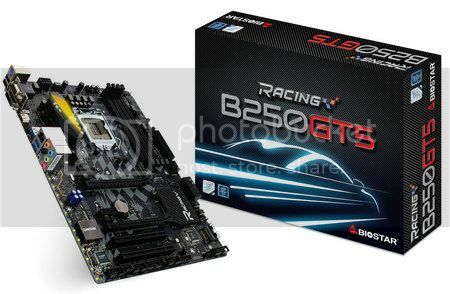 Im looking forward to get this motherboard since the board i am using right now is also from Biostar. Are there any bang for the buck motherboards out there you can suggest? Thanks, I think this would be the cheapest B250 out there. The lighting effects looks pretty cool though. They dont compare to that of the new ASUS mobo's with Aurus LED tech.... colors are the best I have seen in a system yet.